We all know spring is the time to do a deep clean, dust off the winter cobwebs and spruce up your home for the impending sunshine. If you simply don’t have time to have a big spring clean or have a hectic schedule, don’t worry. Editor's Note: This post was originally posted in April 2016 and has been completely revamped and updated for accuracy and comprehensiveness in March 2019. The right way to clean it. We should air out our mattress every six months as recommended, but it’s so heavy and who really can be bothered? Follow these steps, and cheat your way to a cleaner mattress with bicarbonate of soda. Clean the mattress protector - If your mattress has a removable mattress cover, you'll want to remove this and give it a good, hot wash to kill bacteria. You can even add a cup of white vinegar to help deodorise any lingering smells. Clean the mattress - Next, sprinkle bicarbonate of soda over a sieve and dust your mattress evenly. Leave it for an hour (or however long it takes for your cover to wash and dry). The baking soda will draw out any dirt and moisture. Dry your sheets faster - Place a tennis ball in the tumble dryer with your mattress protector to fluff it up and speed up drying time. Remove the bicarb - After enough time has passed, vacuum your mattress to remove the bicarbonate of soda. Kill germs on your pillows - Remove your pillows from their pillowcases and pop them into the tumble dryer. Tumble them for 10 minutes to kill any dust mites. This could do with some TLC! Fill a sandwich bag with half water and half white vinegar. Attach it to your showerhead using a rubber band or heavy-duty tape. Clean any remaining limescale and dirt with an old toothbrush. 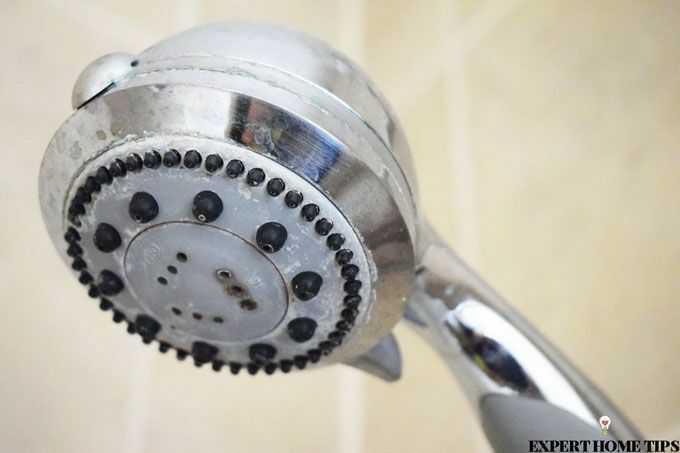 Flush it out by running the shower cold and hard. Shower curtains can get scummy and mouldy before you know it and whilst they're cheap to replace, it's good to cut down on waste where you can. For this spring cleaning tips, get rid of any soap build-up and dirt by chucking it in the dishwasher on a hot cycle. If you don't have a dishwasher pop it in the washing machine with some dishcloths or old towels. They work as an exfoliator with the rough surfaces helping to rid of tough stains and dirt marks. 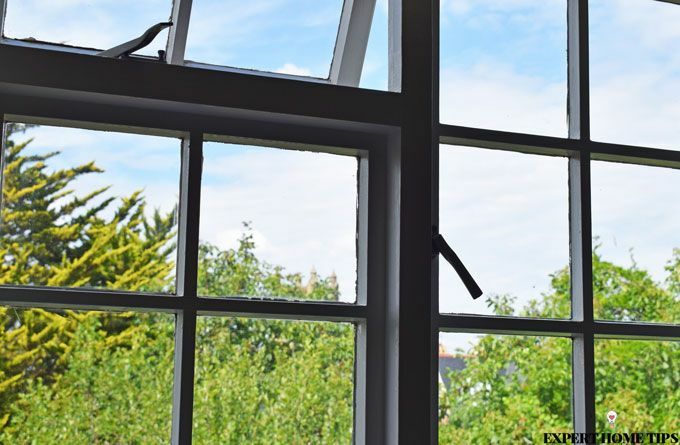 Windows might not be at the top of your to-clean list, but a quick spruce up can make such a difference to both the inside and outside of your home. Not only will they look so much more attractive, but a clean window also lets in a lot more light. In a perfect world, we would hire a window cleaner to do the job for us, but most of us have to go full-on window washer mode battling dripping water, dirt and streaks. Take down your curtains and give them a clean. If you don't have time to clean them, just give them a good shake outside to remove any dust. Wet a microfiber cloth with water and use it to clean the grime off of the windows. Spray vinegar directly onto the windows and clean off with scrunched up newspaper. Use another damp cloth to go over the frames. You may have a few microfibre cloths hanging around and know how well they collect dust and dirt, but now is the time to purchase a microfibre mop! You can use it both on the floor and on walls and ceilings. They make light work of removing dust, cobwebs and debris, and the long poles make it easier to get to those out-of-reach areas. Heat your oven to 150°F then turn it off. If you have a gas oven switch off the gas. Place a large pot of boiling water on the bottom rack. On the top rack place a heat-safe bowl or baking dish with 1 cup of ammonia. Shut the door and leave overnight. The next morning remove the bowls and oven racks. Let the oven air out for 20 minutes. Add 1-2tbsp of liquid dish soap to the ammonia & 1/4 warm water. Use a scrubbing pad and the ammonia mixture to clean your oven. Use a sprinkling of bicarbonate of soda for tough areas. The grease should be soft, making it much easier for you to clean. You could save half the time with this little trick from Life Hacker. 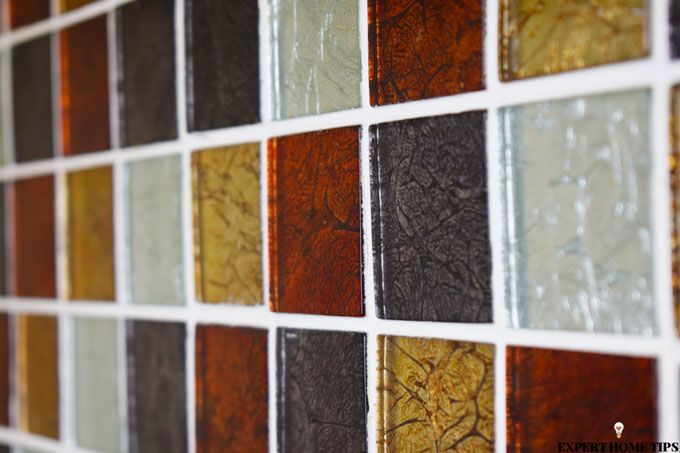 Is your grout looking as fresh as it was on day 1? Probably not. You don't need to start from scratch. All you need is Hydrogen Peroxide. It might sound scary but trust us, it's completely safe. Just use rubber gloves when handling. Mix the Hydrogen Peroxide with enough flour to make a thick paste and apply the mix to the grout with an old toothbrush. Cover with cling film or cotton wool pads overnight. In the morning, rinse the mixture off and scrub with the toothbrush to reveal whiter looking grout. De-cluttering might sound stressful, but it's so important and can make a huge difference to your home. The key is to be realistic and tackle one room at a time. To make de-cluttering even easier, go through one drawer or cupboard when you have a spare hour. In spite of what you might like to think, carpets need to be deep cleaned regularly. They can harbour dead skin cells, food, faeces and more. It can take a lot of time and prove costly if you go for a professional service, but bicarbonate of soda can prove to be an effective shortcut to cleaner carpets. It neutralises smells and helps extract stubborn dirt that your vacuum would ordinarily miss. It's also a child and pet-friendly alternative to harsh chemicals so you can safely spring clean your carpets. 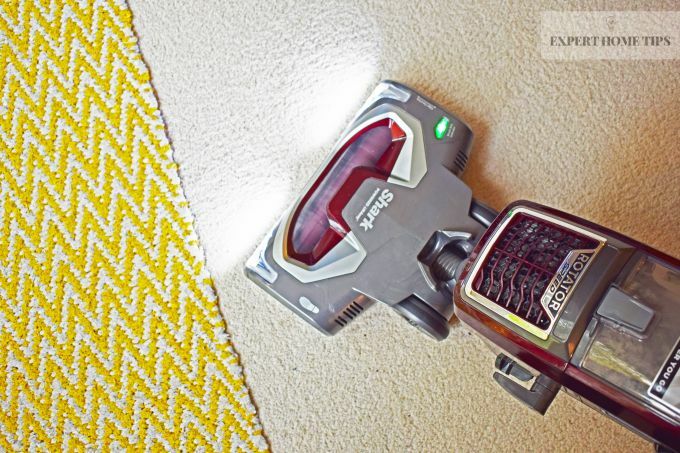 Start by vacuuming your carpet until you've sucked up all visible dirt. You want it to be as clean as possible. Next, sprinkle bicarbonate of soda all over the carpet. Using a dry soft sponge or old cloth, scrub the baking soda deep into the fibres of your carpet. Let it sit for several hours and don't let anyone walk over it. Vacuum it up. It may take several goes to lift it all out but your carpet should be looking and smelling like new again. Bicarbonate tends to clump together in the box, so give it a huge shake before opening. It might also be worth sifting it or pouring it into a large shaker to help distribute more evenly. Has your toilet bowl got bad limescale stains? All you need is a bottle of Coca-Cola. Pour the coke directly into the toilet bowl, starting at the rim. Swirl around so that the bowl is covered in a thin layer of cola. Leave the coke to sit for at least an hour or overnight. After that, use a toilet brush to scrub at any visible stains or deposits. Flush the toilet to get rid of any remaining cola. 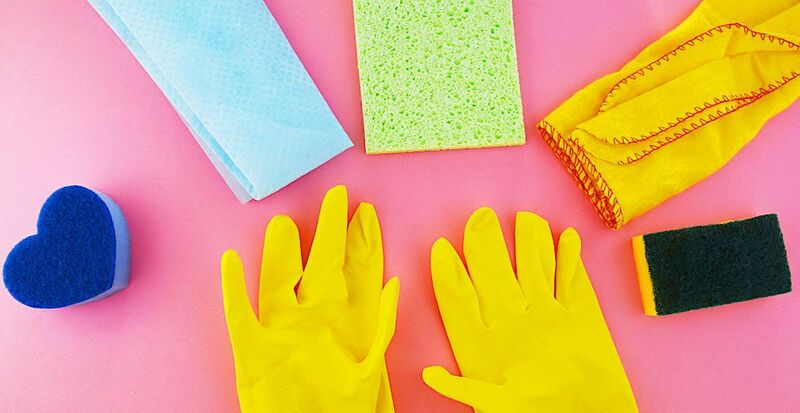 Do you know any more Spring Cleaning shortcuts? Let us know in the comments below! That's an interested one, will have to check it out. Thank Sharon. Love the tip re pillows, as an Asthmatic, this is perfect. Thank you! Oh you're welcome lucy, glad to hear it's useful! Let us know if the table salt and boiling water does kill weeds. (When you have checked it out.) Can't wait to try. My shower head was looking quite bad a while ago so I'd seen you mention how to clean it . I did this overnight and it looks great again now. So many thanks. why everything needs vinegar? I can't stand the smell of it, it makes me sick and throws up, is there something else one can use instead of that? sometimes I find buying a cleaning product that does the work is cheaper than making one on your own. Great tips for the Home, love this website. Have tried loads of tips and saves me loads of time. Thank you. That's an interesting tip, Alison! Thanks for sharing! I'm so pleased we could help, Michelle! That's exactly why we love it so much! Thanks for the feedback, Heather.